Have an older generation iPhone 3G or 2G? If so, you’re stuck on older legacy iOS versions with limited features and sluggish speeds. But not anymore with Whited00r, which installs a custom iOS build on the device to help bring it into the modern age. Whited00r 5.1 is basically an unofficial custom made iOS build that includes many of the iOS 5 features and has been optimized to run on the older hardware. 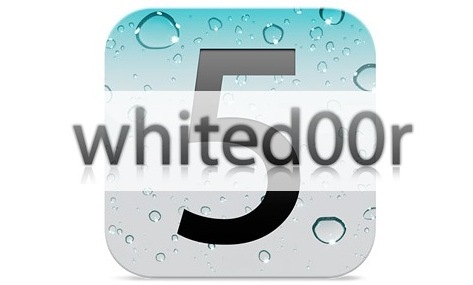 With Whited00r, you’ll get multitasking, wallpapers, folders, and variations of Reminders and Newsstand, and it’s claimed to be much faster than the default iOS 4 installations that drag the iPhone 3G down. Unfortunately there’s no Notification Center, and you will also lose the native App Store, meaning to install apps you’ll have to use iTunes or Safari. If the trade offs are worth it to you, installing Whited00r is very easy for anyone familiar with using IPSW files. After the iPhone has rebooted, do not restore from a backup, instead select to set up a new device. This is recommended to avoid any conflicts. The speeds are fairly close, an impressive feat considering the 3GS has significantly faster hardware, a faster CPU, and more RAM. If you’re having trouble with the installation or just have questions, check out Whited00r’s forums. I’ve been trying this now for about 12 hours and it just won’t install. Tried the unlocked version, the locked version. Tried to downgrade to 3.1.2… nothing works. Finally giving up and restoring from Apple! Are you getting a specific error during the installation process? You may need to use RecBoot to get around them. Hey mike, you can Installing Whited00r 5.1 on iPhone 3G. But first you need to put your iphone in recovery mode, open itunes, Hold shift and click restore, upload the whited000r firmware and watch the magic work. Everytime I try, I get 1604 error. Tried with different macs. Nothing changed. Anyone has an idea about 2nd generation Ipod? I used it to get out of recovery or to get into recovery mode. It does not help. The forum of the White firmware hints at some tools but they do not solve the problem. In conclusion, I am sticking with Apple firmware. How come i cant find a whited00r download for my iPhone 3G? just links for ads. I’ve tried 3 browsers as well.. any mirrors would be alot of help! Whited00r is really just ios3/4 with some custom mods to make it behave like ios5. it doesn’t really do true app multitasking, or real iCloud sync, or send/receive messages with other iMessage users. basically if you already know how to jailbreak, you don’t really need Whited00r. I don’t recommend it! It is really fast, much more than normal 3G, but it doesn’t work for many of the new apps! It’s like getting an old/fast iPhone! will this work on the ipod 2g? does whitedoor 5.1 drain battery on iphone 3g or some idevices ?? this really really a must know for me, i must know if it drain the battery a little bit extra ? You guys are idiots. Well some of you are. Whited00r 5.1 is the best upgrade for your 2G & 3G phones since Apple closed the door on those devices and they want you to buy the new 4G. So what if it still use your old firmware version. Big freak’n deal. For those of you who are into jailbreaking, this is where it’s at! For the rest of you that want to spend their money in the Apple Store (Big joke) go right ahead suckers. and you’re just an apple blinded head, all 4g means is 4th generation. so yes, there is such a thing as iPhone 4G. and the iphone 4s, since that’s what you’re sticking up for, is the 5th generation. and all the S stands for is Siri, because it’s the only phone to support her. getting error 1604 for my ipod 2g i’m doing exactly what the download tells me to do no luck. what can i do??? Awesome. Thank you so much whited00r worked after all else failed. iphone 3g, 6.15 baseband, with t-mobile. whitedoor gave me back my phone! follow instructions exactly, including using recboot if you encounter errors in iTunes. yes, it’s a modified version of 3.1.3 or whatever, but it works and for an older model iphone, that’s all I can ask. I totally agree spent so much time downloading and loading whitedoor and come to find out it is 3.1.3 i need ios 5 or 4 apps – app store will not download in ios 3. I have tried to restore to white door 5.1 for iPhone 2g unlocked but it gives an error says its not compatible with ur iphone anyone can help? can someone give me instuctions on how to find the software download. does whited00r consumes battery life faster on an iphone 3g? Why there’s no link to install it on iPod Touch 2G ?? its showing an error 1611!! what can i do to resolve this? if i will use whitedoor can i activate the assitive touch function on my iphone 3g.. i badly need this since my home button is broken.. Does iMessage (free message) work on whitedoor? hey, i was just wondering if this is jailbreaking? Hey! Thanks very much for this! I really appreciate it because I can’t afford the new iphone and this way I don’t need 5 minutes to open any app… Thanks! One question, since there’s a misunderstanding between Whitedoor 5.1 to be iOS 3.1.3, will this version have data toggle? I do not want this device to shoot my data bill up? So if I install this with their guide, I lose all files on my iPod and it runs on an inferior version even though it says iOS 5 ? Because reading it all around I doubt I’ll be able to use it, only reason I want iOS 5 is because I want pocket planes, which doesn’t work on lower versions ( with 4 being the latest for the iPods ). Anyone can clarify on this ? do i have to jailbreak my iphone to put this on there .? will ios4 required apps work with it? I need my ipod touch 2g (model mb528zp) for testing of my iOS 5.1 compatible app. thanks for your beautyful work..im using ipodtouch 1g and thanks for giving us an update..good job!! will the iphone 3g be in the need to be unlocked after updating? One question: if I install this s/w will it support Airplay on iPod 2G as a player? Is it possible to download & use apps from app. Store with out any problem after upgrading iPhone 2g to ios 4.1…. & over. Cuz some says it does download but not opening it. Works perfect for me! Thanks for this!! I finally got it working, After an excruciating 5 hrs of ipsw downloading, trying out different apps and researching..
will push notification work on this whited00r 5? Hello! First of all, I downloaded it and it worked very well but then the notification came in Itunes and it wanted me to update newer version orsm and as I did it the update didn’t finished and it sent me an error like 16** and also 15** and after that my Itunes always said that my Iphone is in recovery mode and I have to restore that but when I restore it then my Iphone don’t finish it and the error comes again and now my phone won’t work anymore, every time when I turn it on it says that I have to connect my phone with Itunes and restore it…what should I do? When i now download from AppStore i sometimes get the message that the selected app needs iOS 4.3. Now i read here that the iOS with whited00r is 3.1.3. but modified to 5. Will i be able to download the Apps now without any error saying i need an update? The only reason I tried this that I was unable to install apps from App Store as it requires ios 4.3 or higher. Now its 3.1.3 and app store doesnt work any more… Why the hell it was published as ios 5 then ?? Waste of time and efforts apart from the fact that its faster. but that is because of older version with so many missing features. have you tried through itunes? this software is rubbish i reccomed you do not download it!!!! I read all comments and many people say it’s iOS 3 firmware. Can I run iOS 4 and 5 apps on it, or will I have to say goodbye to all my iOS 4 apps? I installed Whited00r on my iPhone 3g but although it really is fast, way faster than before, it doesn’t have all iOS 5 features as you said. No real iCloud or anything like that, and firmware is 3.1.3. Wouldn’t be any problem for me, but the apps I used on my iOS 4 do not work on this one as they need iOS 4+. Not a waste of time, but not a 100% solution either. If you just wanna make your device faster and use ios 3 apps on it, go ahead and download this, but if you use iOS 4+ apps, you won’t be able to do that anymore. can i know if i installed Whited00r on my iphone 3g can i install games which i cant install on ios 4.2.1 ? After finishing the installation my iPod touch 2g went to a black screen and no key combination turned it on.